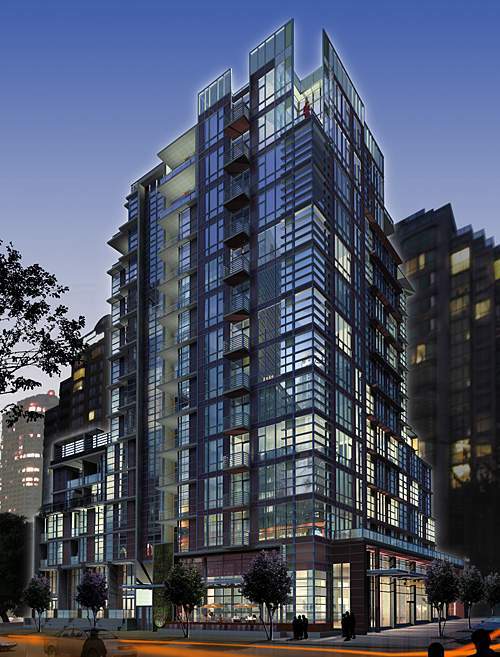 "ALTO” is located on the corner of Howe Street & Davie Street on the edge of Downtown where Yaletown meets the Westend. Alto was constructed in early 2010. A location that is so central, your 10 minutes away from everything Vancouver has to offer! The “ALTO” is a classic gridded beauty of concrete, glass and steel, a dramatic glass curtain wall promises light filled homes and panoramic views of the city, mountains and water from upper level homes not to mention a living green wall as you enter the secured inner courtyard. Building Highlights: Modern colour schemes & patio to die for. It's all about how you want to live - in the day, near the action, in style. Designer finishes including Electrolux stainless steel & wood paneled appliances, polished composite stone kitchen countertops & custom cabinetry from floor to ceiling make it easy to cook & entertain in style. Free Telus high speed internet and digital TV for one year. Fully equipped kitchen with appliances including dishwasher, microwave and granite countertops.